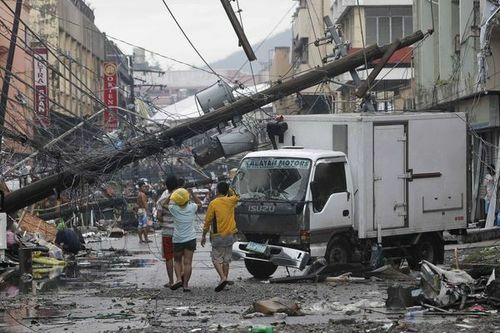 In light of the recent tragedy that was brought by #YolandaPH or Super Typhoon Haiyan, I would like to express how my heart cries out for our kababayans over at Tacloban, Leyte and some other parts of Visayas which were badly hit. I sometimes couldn't bear to watch the news and see how a father cries on TV with his dead child in his arms or a mother who is in search of her three other children while the first three she found were already covered with black bags right next to each other. Our brothers and sisters there are hungry, thirsty, cold, traumatized, feeling hopeless, and of course stressed witnessing their homes and loved ones wiped out by the storm surge. I've shared this on my Facebook status, that I know deep in all of our hearts, we do want to help, we each have our opinions about the government's pace of action regarding the relief operations and distribution of the goods to the Yolanda victims. Most people express their disgust over Pnoy's leadership, or lack of it, in the trying times of our country. That he could have done this and that, that they felt ashamed of his replies during an interview made by an international news crew. We all have something to say. But the government has already admitted they fell short and that they too didn't want all this to happen. I'm sure they are doing all they can in their capacity. Let's give them a break. As one nation, let's just do what we can to help, in our own little way, small or big, it all counts. Donate - Donations may come in kind or in cash. Items to be donated may be classified to food and non-food items. Food items should be something that are ready to eat and would not need water to cook it. Noodles are not encouraged. Water bottles, canned goods and biscuits are more recommended. Other non-food items such as clothes, medicines, toiletries, slippers and blankets are recommended. Should you donate in cash, make sure you donate to reputable institutions. Did you know that you could also donate prepaid load? Smart offers that option. 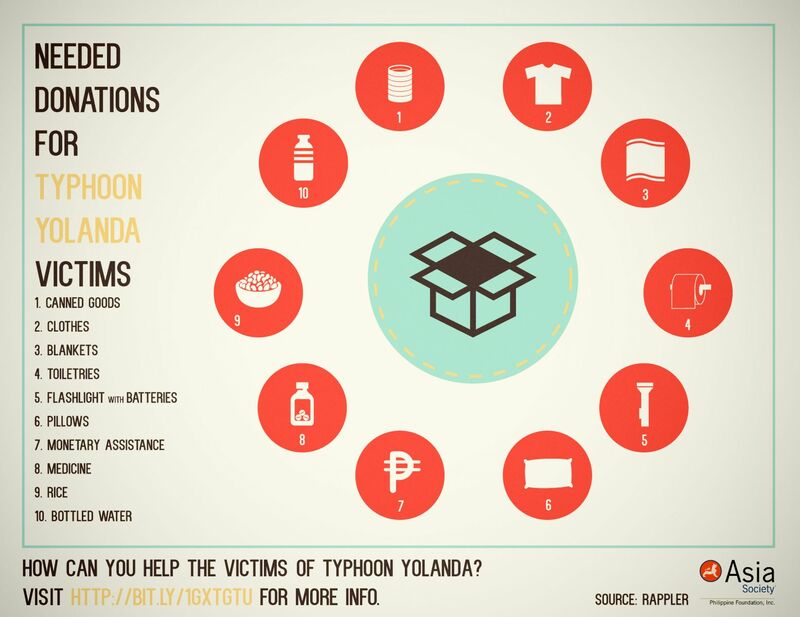 Some companies, give up their Christmas party budget to donate it to #YolandaPH victims. I'll share some infographics I got online for your references. If you are breastfeeding, breast milk could also be donated! You may refer to Chronicles of a Nursing Mom's blog on complete infomation how to donate your milk. 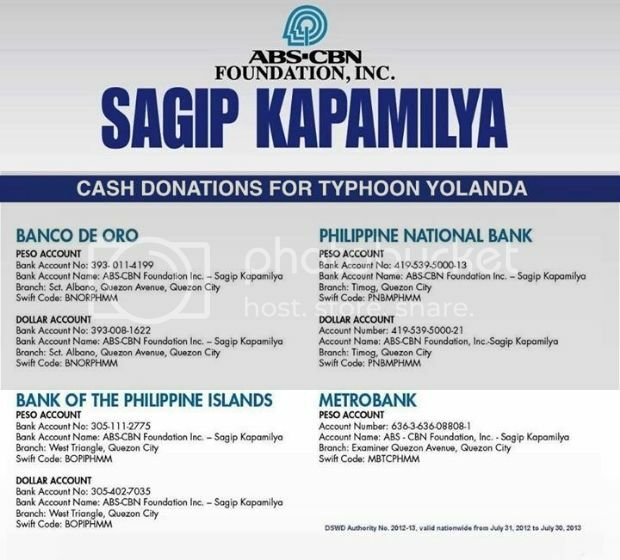 You will be helping a lot of hungry babies in Visayas. 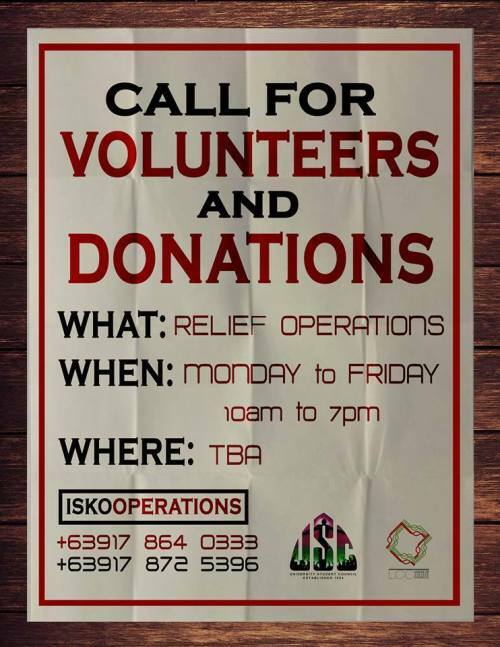 Volunteer - You could also volunteer in repacking relief goods. Some companies like ours ask for volunteers to repack items for donation. 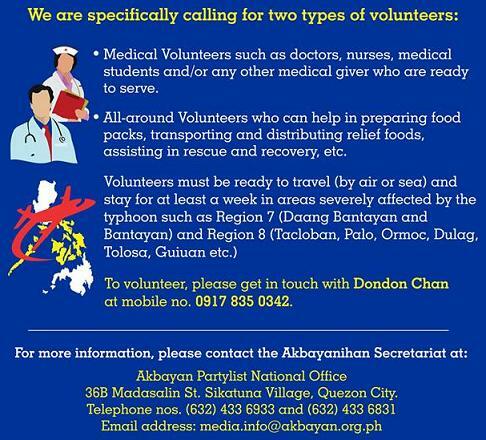 You may also opt to go to other organizations in dire need of volunteers. Let's all help each other this way. 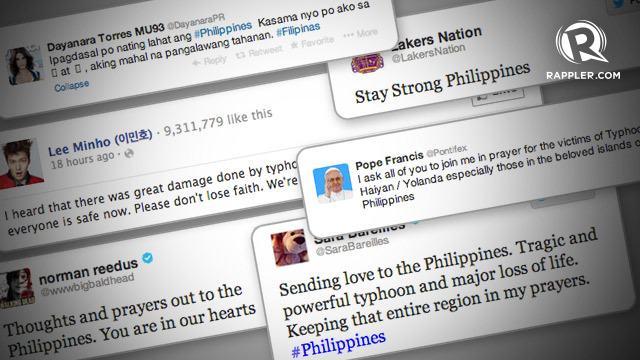 Share Information on Social Media - Use #YolandPH #PrayForThePhilippines #RescuePH #TracingPH hashtags. Use Social Media wisely. Use it to inform not to be negative about the whole thing. Be a source of information to help or to inspire. Re-tweet or share content which you think will uplift the hearts of people with families in Tacloban. Let's refrain from blaming, pointing fingers or bickering, because it won't help. Pray - Lastly, let's include our kababayans in our daily prayers, special intentions for masses. May the parents who lost their children and children who lost their parents, people who lost their relatives and friends, find consolation and peace in their hearts. That the pain, grief, regrets, burden, sadness, rage in their hearts be lifted up to God and may be taken away from them. It's a process we all know because the trauma that YolandaPH brought to their lives are unimaginable and the depths of depression are immeasurable. May the Lord guide them and keep them stronger. Together let's pray that they will all rise above this all. 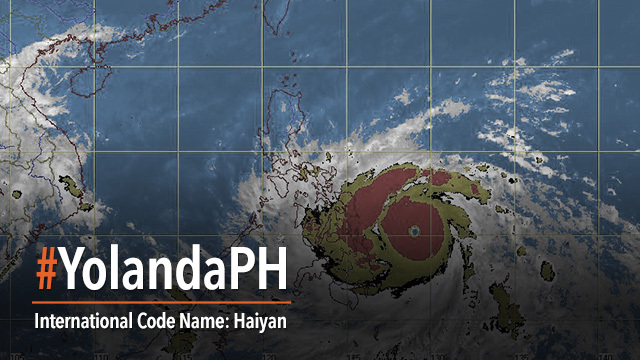 May the misery end and may the rebuilding of Visayas be soon done. 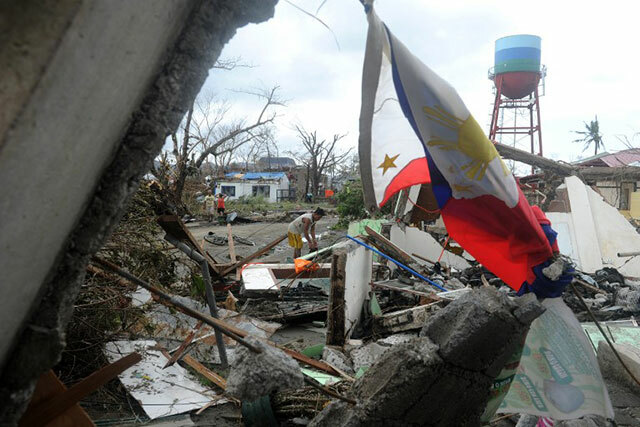 Let's pray that they may all still find hope amidst Yolanda. In Jesus name, we pray.